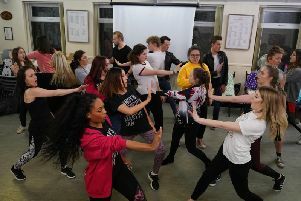 Ripley and Alfreton Musical Theatre Company will perform a concert version of the prolific musical, Jesus Christ Superstar. The company will make its debut in Derby, performing the concert in a mobile arena in the Market Place on June 10 and 11. Powerful rock harmonies in Hosanna, haunting sounds in John Nineteen: Forty One and unrelenting harmony in the show’s title song will fill the arena.